Published December 29, 2011 at 1936 × 2592 in Groom Cake, Anniversary, Retirement, Graduation Etc. 3D sculpted human heart cake. 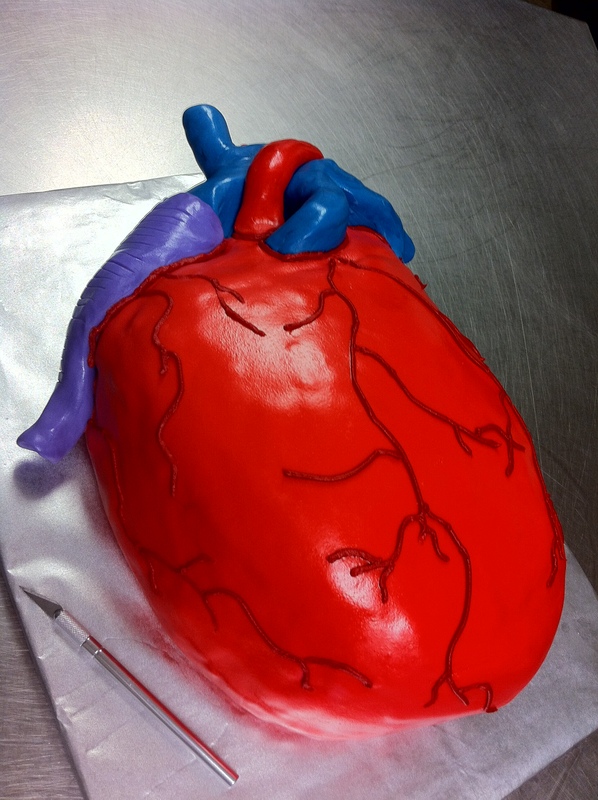 3D sculpted human heart congratulations cake with red, blue and purple arteries and veins.